Longtime Geller Report readers are very well aware of the child beatings in Islamic schools, beating the Quran into them. 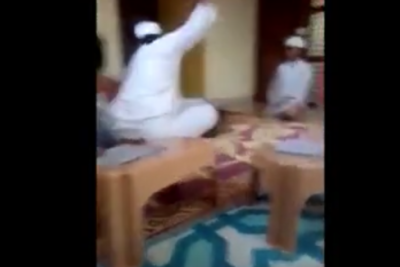 A highly disturbing video of a religious cleric brutally abusing a student has been doing rounds on social media sparking extreme anger amongst netizens. The video was also shared by acclaimed Pakistani singer Shehzad Roy on Thursday, who had called for action, urging people to help him identify and trace the cleric and locate the madrassah. 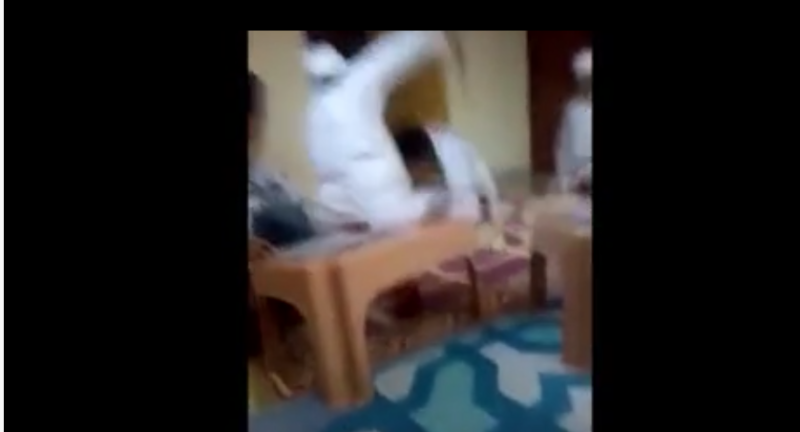 The graphic footage shows the moulvi slapping, punching and kicking a student ruthlessly as the two are surrounded by other young students reciting Quran. The scholar is also seen thrashing the boy with a stick and throwing him to the ground. Personal details of the cleric subjecting the student to severe physical abuse, torture and violence are yet to be ascertained. A similar incident had emerged in December last year, when a video of a religious cleric beating his students mercilessly with hose pipe surfaced on social media. Taking swift action against the scholar identified as Shabir Ahmed from Hyderabad, Sindh Police had arrested him after Chief Minister Murad Ali Shah also took notice of the matter, directing Commissioner Hyderabad to submit a report regarding the incident.